My digestion is not the best in the world, and I have blogged about this before on the Cholinergic Urticaria blog. When I eat extremely healthy foods (vegetables, fruit, & lean meat), my digestion is usually very good. However, whenever I eat anything complex at all (grains, dairy, processed foods, etc. ), my digestion goes haywire! My stomach gets crampy, bloated, and I sometimes get diarrhea. It is really annoying because I am the only one in my whole family that has to watch out for foods. At family events, I am always asking “What does this have in it?” in order to avoid stomach issues. Could Probiotics Help My Stomach Issues, Hives, and Eczema? Anyways, I have noticed for the past year that when I do take a supplement (lactose intolerance plus probiotics), I can usually digest most foods with no problems. One thing I have taken for a while (only when I was going to eat the bad foods) is a product by Digestive Advantage “Lactose Intolerance Probiotic Plus.” It contains not only the lactase enzyme needed to digest milk, but also includes a probiotic (Bacillus coagulans GBI-30, 6086). To read my indepth review of Digestive Advantage Lactose Intolerance click here. This product does help out a lot, but if I over-do the milk or junk foods, my symptoms of stomach pains can come right back. So recently I have noticed several comments on the blog & forum talking about probiotics, and how they can even help digestion/allergies sometimes. I suppose the theory is that we all have these bacteria naturally in our intestines, however, they can become unbalanced after antibiotics, stress, infection, etc. The probiotics are “good bacteria” that are supposed to aid in digestion, possibly affect the immune system, and as I said, I know that they can definitely make a difference in my experience. This is also the reason why if people go to a different country, they often get a very severe stomach cramp/diarrhea episode. It is due to the foreign bacteria/foods that are new to their body. There are also plenty of articles online to suggest that probiotics are often used to help children with eczema, digestive issues, etc. I found it really odd that it helps with eczema, and even had a comment on the last article that confirmed this. Eczema is a skin issue, yet bacteria in the stomach help with it. So this has definitely caught my attention recently. Could probiotics be a huge help to me? Could it clear my stomach issues for good? Could it help my eczema? And would it have any effect on cholinergic urticaria? After thinking a few days of my last 7-10 years of really bad digestion, I have started to wonder if perhaps I need more bacteria in my intestines/body. It makes sense, and it does help my stomach with just the 1 supplement when I eat foods that normally hurt my stomach (such as pizza, ice cream, etc.). It contains a total blend of 3 different probiotics (L. acidophilus, B. bifidum, B. longum) for a total of nearly 1.5 billion cells. I took my first one today about an hour ago. I also have the other supplements from Digestive Advantage, so I have a pretty good mixture of different probiotics. I am going to seriously do this probiotic thing for a while & I will update everyone on my digestion, eczema, and hives. Not only that, but I am going to experiment with other potential probiotic forms over the next few months to see any impact it may have. It does make a great deal of sense…just think about it. All foods should have these bacteria in them naturally. Milk, cheese, etc. However, that isn’t the case as much today, because they pasteurize milk to eliminate the bacteria for longer shelf-life. This is true for most all processed foods we buy today. Since the foods don’t have the “bugs” in them that we use to digest them, it makes it very hard on our digestive system. They even go as far as to irradiate some foods (give a high dose of radiation) to kill all bacteria & provide a longer shelf-life. It is all basically about making that dollar, at any cost to humans. My stomach issues definitely got much worse during my hives bout. The strange thing is, when my hives went into remission for those 2 years, I could eat pizza & lots of foods without major stomach issues. But now it isn’t so. If I were to eat a big pizza, have a bowl of ice cream, or even eat some complex foods, I would be guaranteed to be in severe pain about 4 hours later. So there could be some kind of connection. Update on Vinegar Treatment…I Stink! Okay, so to update on the vinegar thing. So far it isn’t clearing the very small nickel-sized patch of eczema on my shoulder. Nor is it helping with the hives at all. Not only that, but I stink (literally) until I shower. I smell like a big pickle lol. So I will keep this up for a few more days to be sure, but it doesn’t look like it is helping at all. 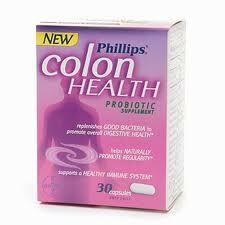 I am going to keep up with the probiotic thing, and see how that goes for a while. I may even work up the nerve to have my first real pizza after I do this for a while to see if it changes my digestion at all. I haven’t had a real pizza in months, and I used to love pizza & eat it all the time. There is this place called “Greg’s Pizza” that makes THE BEST pizza I have ever eaten in my life! Yum! It is expensive, but so worth it. But anyways, that will be several days/weeks away if I try this to ensure I have added a lot of bacteria to my tummy. Well, that is it for now. I just wanted to update everyone on the vinegar & probiotics. Hopefully something will work.